My wonderful husband celebrated a big birthday in May. On his birthday last year he was diagnosed with Coeliacs disease so I wanted to make sure that this year was a lot better! I love to give handmade gifts if I know they will be appreciated (yes I’m shallow like that, unappreciated gifts I feel are a waste of my time!). I asked Tobit if there was anything he would like me to sew for him and didn’t get much of a response. So I decided to make him a Cargo Duffle, the pattern is by Anna of Noodlehead and produced for Robert Kaufman, you can find a copy of the pattern here. 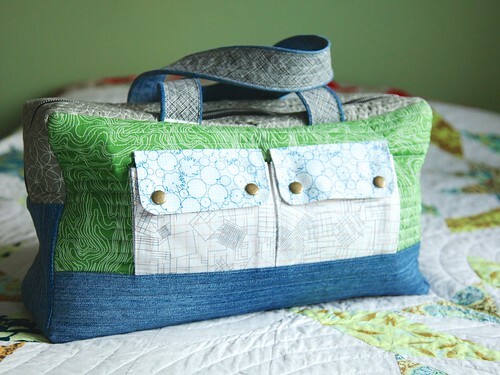 I’ve used a number of Anna’s patterns before and love the bags that I have made with them so felt sure this would be another winner and I could make it masculine. 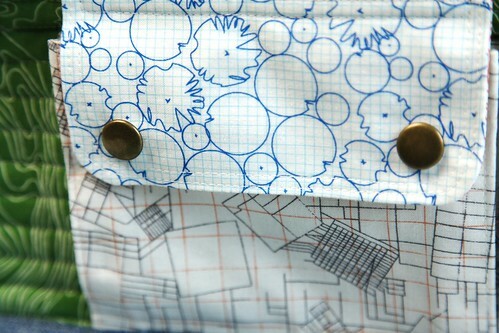 The pattern instructions are only 6 pages long and assume an amount of sewing knowledge and experience, e.g. quilt-as-you-go. 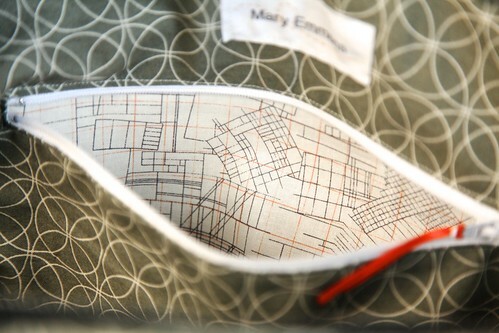 However as time was on my side I did some searching to see how others had sewn the same bag and read their experiences. I ended up creating a Pinterest board with all the useful posts I found on sewing the duffle. 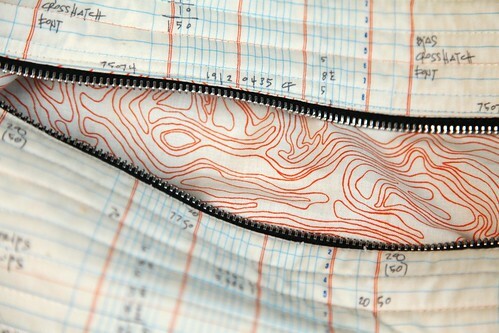 The most useful was a sew along series by Sophie Crespy on her blog. My hoarded, uncut, collection of Architextures which Tobit had admired since the day it arrived. Without telling him why I asked him to pick out some favourite prints, although I must admit I did direct him slightly to make sure it fitted with my plan! For the bottom gusset and exterior bottom accent I bought a pair of jeans from the charity shop and cut them up. I didn’t have quite enough denim left for the length of both handles which was really annoying and I was worried that joining 2 pieces together would create too much bulk but after a good pressing it worked fine with the use of a denim needle and walking foot. The zip gusset and interior is Comma in Swinging Slate by Zen Chic and works well with the Architexture which was a bit of a relief because I didn’t have anything else that was remotely suitable and long enough. 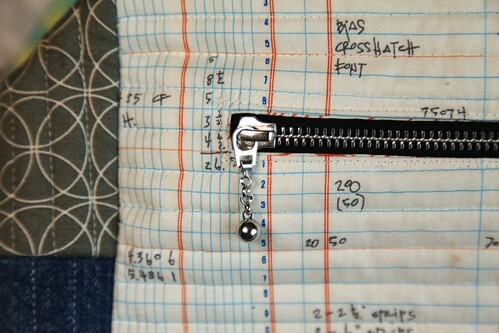 I also had time to order some nice zips and snaps for the pockets. The zips came from here, (and if you want latex rubber they sell that too!) and the snaps from here. I will admit to being a little nervous about fixing the snaps on, but I left it until I was home alone and could concentrate on the job in hand and all but one went on perfectly. The troublesome one I think just slipped a little and somehow tore the fabric, but I did a little fix with some interfacing and unless it was pointed out I don’t think you would notice as it’s on the pocket rather than the flap so not really seen! Again I had planned to do this so the zip matched the main one, I did have trouble finding 2 zips that matched that were the right length for this! I took great pleasure in creating this bag, having time to add touches that would be useful was fun. However, nowhere did I find any mention of anyone having a problem inserting the side panels into the gusset. I had a nightmare with them, I measured and remeasured to make sure I hadn’t gone wrong somewhere, no my measurements were as the pattern but I really struggled to get the sides stitched in neatly once the top and bottom were in. I think I spent a whole day while the children were all at school stitching and unpicking this stage! But it was worth it! « Bee blocks for May and June! It looks superb – well done. 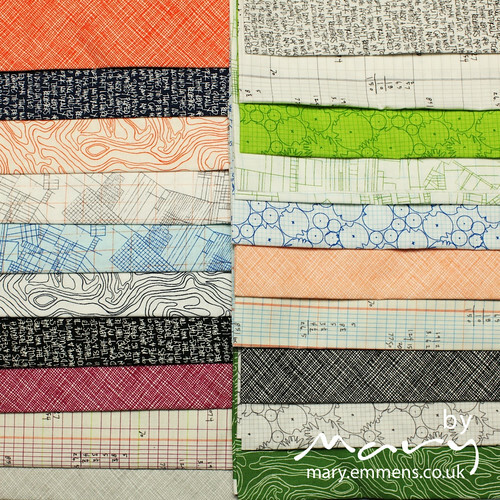 It’s great and some very useful pattern tips .thanks Mary! 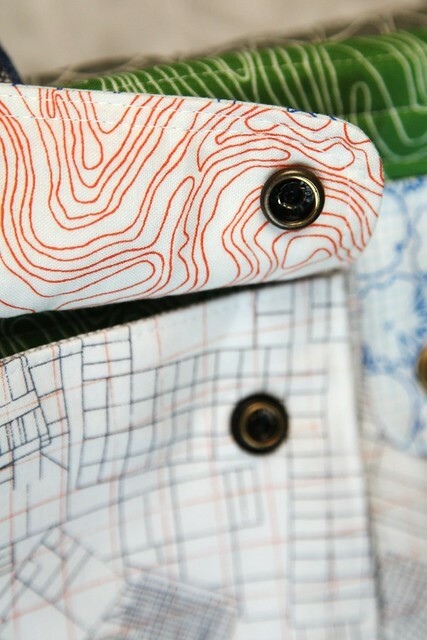 Love your fabrics- looks fantastic! What a fabulous bag! 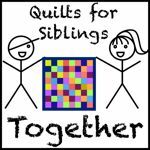 Very tempting to try one, especially as I’ve just purchased some fusible fleece to make small quilting easier. Great to see so many more masculine projects popping up in blogland recently. What a fantastic bag Mary!!! Perfect fabric to go with the denim too, what a lucky birthday boy! I love your bag. I’m itching to make one but it’s going to mean breaking the fabric diet (again.) I didn’t think about recycling jeans for bottom bit – shame as I just put some in the clothes bank yesterday! ahhhh. I hadn’t read anything about the sides being difficult to assemble either. I’ll have to bear that in mind. So can’t wait to make one. I may have to start when I get home! 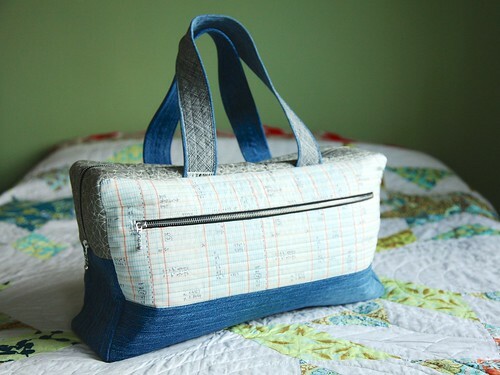 what a brilliant gift – and I love how you used recycled denim in it. this might be my favorite cargo duffel so far! And I have seen a lot of fabulous ones!